How to get my website on page one in Google. There is a big difference between first page and second page listing of your website. According to Moz 71% percent of clicks come from first page returns. Every page after that produces a significantly reduced percentage. Second page results on average carry only 6% of the traffic clicks so being second is not even close to the first page.First of all you have to understand how Google works and why it works so well. So lets begin, when you enter a search term in the search box, you are not actually searching the web, rather you are searching Googles version of the web and all the data stored within it’s massive database. So how does Google determine which results are most relevant to what the user is looking for? Well this is done by asking questions, about 200 according to reliable sources. These 200 plus criteria are used to deliver the most useful and most relevant result for the user. How Does Google Know Its Returning The Most Useful Results? Well to start off with if people don’t click through to your website from the search results then you are going to get dropped like the proverbial stone! But you always have a chance because when new content is created Google does give your page a chance, if people are clicking though to your website then this is good news, the more click through tells Google they are getting this right and see this listing as relevant and so will place it higher in the SERPS. That’s the first bit however there is a catch! 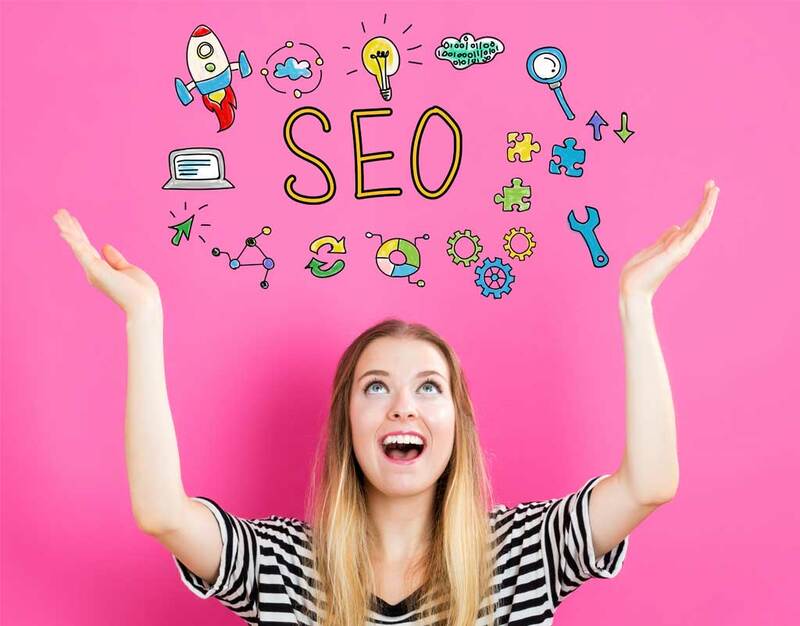 when they get to your website they need to stick around, when the site is useful to the particular search term as promised by the listing title, description and snippet, then you are going upwards. Google does a good job in finding your site, though submitting a site map is a very effective way to get on to Google’s index. For a beginner using WordPress this can be done by adding a plugin called Yoast. This creates a sitemap automatically which Google and other search engines can index. Next you can simply submit your site on Google https://www.google.com/webmasters/tools/submit-url. If you have recently published a new page and don’t see it in the listings when you search just make sure that the page is set up for the correct keyword you are looking for. First Page & Second Page Difference. It’s major. There is a big difference between first page and second page listing of your website. According to Moz 71% percent of clicks come from first page returns. Every page after that produces a significantly reduced percentage. Second page results on average carry only 6% of the traffic clicks so being second is not even close to the first page. At this point don’t let the word SERP confound you. SERP means search engine results page, that’s all! So a quick insight on the listings page structure. On top and along the side are paid for results using Google Adwords. Next below the paid ads on top are the Google My Business listings, theses are the local search results near you. Below this are the naturally ranking organic results. These are not paid for and are perceived as being a true reflection of credibility by searchers. At the end and sometimes in the middle of a SERP there are suggested similar keywords or phrases that are most looked for. These are often referred to as LSI meaning Latent Semantic Indexing. By using these to determine what users are looking for is one of the first steps you can take towards identifying your target keywords and phrases. Getting to page one is never a sure thing. However you can actively pursue best practices and engage in multiple areas that will put you on the best footing for striving to be one page one. So How Do You Get Your Site To The First Page? You can get to the first page simply by using Adwords. Adwords is a very effective way to not only get more traffic but also to access the website performance. With Analytics you get to know valuable information of user interaction to help you improve your page. Feedback such as how many new visitors, how many of them are returning, did they stay long on a specific page, what regions are giving you the most results and what areas need improving. Use Adwords Express through your Google My Business page to get on top. Select keywords suggested for you and deselect keywords you judge are not as relevant. There is a difference between Adwords Express and a full Adwords Campaign. If it fast you are looking for then use this method setting your daily budget spend until you find what works. Use your ad display and titles efficiently with power words and call to action. Think about the type of description in your ad to attract the right client profile. Hire an Adwords expert to create related keyword campaigns. Make use of a professional who knows how to get the maximum for your money. Keep your perceptions positive towards taking up an Adwords campaign, with the right professional your spend can work. If you spend 1000 per month and you gain 2000 in business then this method is for you. Pay close attention to your landing page as this determines conversion rates. Over time tweak and refine your content to increase conversions based on Analytics feedback. You can always start off small when you have a tight budget, then upscale once there is an Adwords strategy that produces ROI. There are a number of things you can do to get your site on the first page. Here are some key steps you can do. 1. Set up schema on your website. This is a way to tell the searcher what this listing is about. With schema this is additional accurate information to help users know more about the listing prior to clicking through to your website. This can be in the form of an image beside a listing, a star rated review and additional information as a snippet showing the user that bit more extra on what the listing is about. 2. Get your website speed and loading times to be very quick. This is good for voice search as well as not keeping visitors waiting longer then three seconds. After this point percentages of drop off in conversion begin and you don’t want that. 3. Optimise your site images to load fast and have the appropriate descriptions of what each image is about . When done right you have another area to take advantage of in Google images search. As we all know a high percentage of users may be visually orientated and respond to image search bringing them from the image to the site page. 4. Add a caching plugin when your site is WordPress based. 5. Content is a big part of equation here. Write in a way that is natural and not overly promotional. Never keyword stuff your content. Two to three percent is fine. Structure your page content for attention grabbing titles that are tagged appropriatelt using H2, H3 tags. The length of your content and how long you keep your readers engaged matters. Longer more engaging creates dwell time signals. Use bucket brigades and click magnets and outsource to authority domains for a given subject matter within your content. 6. Get backlinks pointing to your site indicates your site is valuable and trust worthy. Backlinks can happen naturally as a result of generating great content worth sharing, especially when the backlinks are related to the landing page subject matter. 7 . Add an SSL certificate to secure your website will give you a ranking signal with Google. Secure websites do better than those then are less secure so the best way to show this is by converting your url from http to https signifies SSL certification. Getting your website onto page one in mobile search means making sure your website is mobile friendly. Start by testing your mobile site in Google. Ensure it is user friendly and that the content is clear without pinching and zooming. Test your website for schema markup hugely important for many aspects including, voice search, click through rate and communicating more effectively in the SERPS what your listing is about. Fast websites do better and everyone knows that Google wants to give users a good experience so a faster website is going to help you rank better, especially on mobile because of the bandwidth. Get this right and it’s another aspect accomplished. How to do? Firstly get a superfast framework or theme. Secondly get a WordPress based website and install a caching plugin. WP Rocket is one great plugin you can use, it will do the work for you so even if you are a beginner all you need to do is install this and run the plugin. You can optimise your images as overly large images will slow your site down. Improving site speed will get you ranking higher not because you are now faster it’s because your competitors are slower than your site. Especially important on mobile search. Help! My Listing Got Dropped Like A Stone!! If you produced a new page and you see it was initially near the top in Google and then suddenly a few days later was on page 7 and you are wondering why? Here is a possible prime reason for this. You will get dropped like a stone when your listing does not get clicked on. It’s all about impressions versus click through rate. If people are not clicking on your listing on Google page search results then it signals that this listing is not a good match for the search term looked for. You may have exactly what the user is looking for but if you have not bothered to set up your titles and descriptions to be compelling then your CTR will drop. So don’t be surprised when you get dropped like a stone by Google. How to get your listing going upwards? Firstly make sure your title and description are attention grabbing. Use power words and call to action. Use words such as [fast] [today] [get [started now] can grab attention. People want results fast and don’t want to hang around. Use schema, these are snippets, reviews and an image giving the searcher more insight immediately on what your listing is about. Make sure you do these prior to publishing your new content. Top Position Versus Spreading Your Digital Foot Print Wide. Being on page number one for competitive keywords can bring results big time. However if it is traffic you ultimately need [ and who doesn’t need!] then think about spreading your digital footprint wide. Just look at all your areas, be it products, services or alternative semantically related keywords. You can make your digital foot print wider just create new content to target these areas. Make your content useful and look for new angles that others have not exploited. Ranking overall can be improved by just getting rid of pages that have very little value in terms of content. Known as ghost pages you can search your admin panel and simple unpublish or delete pages that are obsolete. This again you can do even if you are a newbie.